Aboriginal art has changed dramatically since the early days at Papunya with many artists moving away from traditional iconography while maintaining their traditional stories. These works have progressively become more abstract. Many years ago now, Rover Thomas and Emily Kame Kngwarreye were the key proponents of this stylistic shift. 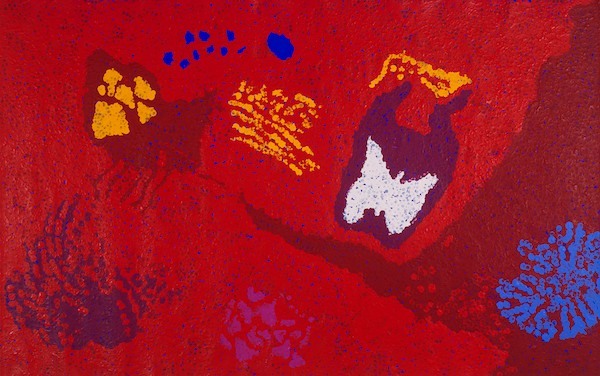 To view the bold minimal works of Kudditji Kngwarreye, or the fine detail of Jorna Newberry is to gain an understanding of just how much diversity there is in Modern Aboriginal Art. Join us for an exhibition showcasing a variety of works created by many of Australia's most talented Artists.